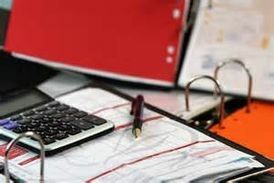 Preparation of year-end financial accounts for sole traders, partnerships, limited companies, charities and clubs, including preparing abbreviated accounts for filing at Companies House. In addition, we can audit your financial accounts should you require this, either to meet your company's statutory obligations or by special request. Maintenance of accounting records, with the possibility of preparing monthly, quarterly or six-monthly management accounts. We can also, either in addition to maintaining accounting records or as an alternative, maintain your VAT records, complete monthly or quarterly VAT Returns and submit them to HM Revenue & Customs. Maintaining our client's accounting records allows them more time to concentrate on the finer points of running their business. Also, due to the increasing complexity of Value Added Tax and continual changes in VAT law, many clients prefer us to maintain their VAT records to reduce the burden of VAT compliance. Maintenance of payroll records, either weekly, fortnightly, four-weekly or monthly, including providing employee payslips and completion of monthly PAYE and NIC payslips for payment of Pay As You Earn and National Insurance Contributions. Completion of Employer's Real Time Information (RTI) and Employer Payment Summary (EPS) Returns and submitting them online to HM Revenue & Customs. Completing Forms P60, P11D and P11D(b) for filing with HM Revenue & Customs. 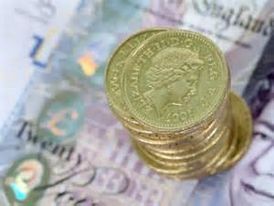 We will claim the Annual Employer Allowance of £2,000 as a deduction from your Employer's National Insurance Contributions, which commenced from 6th April 2014. In addition, we can provide advice on all aspects of payroll from the National Minimum Wage, National Insurance thresholds, Statutory Sick Pay, Maternity Pay, Paternity Pay and the Working Time Regulations, to Statutory Redundancy Payments and Statutory Periods of Notice. We are also able to advise and assist you with your Employer obligations under the new Auto-Enrolment regime for Employee pensions. Due to the seemingly endless increase in the onerous burden of administering employees and maintaining payroll records as a result of increasing regulation, continually changing income tax bands and National Insurance thresholds and rates, tax credits, student loan repayments, Real Time Information, Auto-Enrolment etc., using our payroll services removes a major part of that burden, which allows you to concentrate on the more important aspects of running your business.